Serious Case of the Runs: Quote This! Check it out, I got quoted! 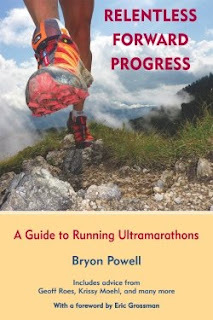 Bryon Powell solicited the Ultra List for some thoughts on ultrarunning last week, and this week he sent me a link to the article that he wrote, including a quote from one of my "thoughts" :) It's on Competitor.com, the running side. It's just a snippet, but it is still pretty cool to have been included in it. Oh, and yes, my Wasatch RR (from the crew side) is coming very shortly. Still trying to figure out how to compose it...and waiting for some other pictures to include. Stay tuned! !